SERVPRO of Franklin, Vance & Granville Counties services all sizes of disasters from big or small from residential to commercial. In the most recent commercial loss. 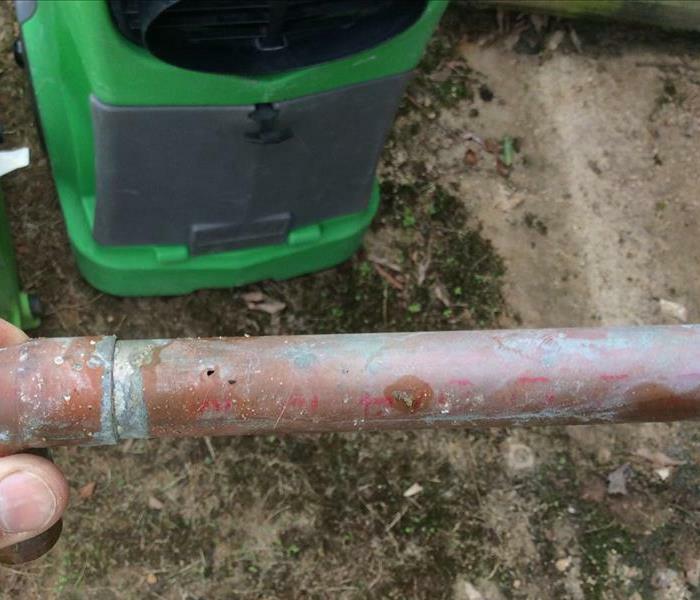 The owner called SERVPRO for emergency water extraction due to water from a pipe burst and it had been running for two days. 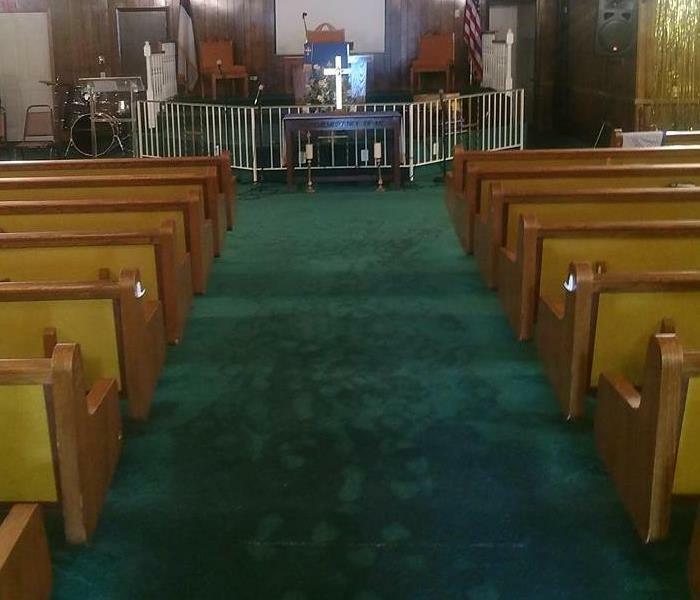 Upon arrival the technicians were able to use weighted water extraction on the carpeting thereby saving the carpets and allowing SERVPRO of Franklin, Vance & Granville Counties the ability to dry the carpeting in place. The techs then removed some base boards to allow for drying of the framing and studs, they placed dehumidifiers and air movers to facilitate the drying. The owner was beyond thrilled that we were able to minimize the interruption of his facility. Let SERVPRO of Franklin, Vance & Granville Counties the opportunity to assist in your water damage. Call us at 252-433-0005. SERVPRO of Franklin, Vance & Granville Counties was called during the evening hours for emergency water extraction. Upon arrival to the job site we were able to extract the water throughout the basement from the main floor ice maker line malfunction which had been releasing water for an unknown amount of time. After the extraction we were able to assess the extent of damages on the main floor as well as the basement. SERVPRO of Franklin, Vance & Granville Counties was able to dry the structure within 3 days preventing any secondary damages and potential of mold growth. SERVPRO of Franklin, Vance & Granville Counties strives to provide excellent customer service with individual attention and quality work. We are an IICRC certified firm so we have the knowledge and experience to mitigate your water damage properly and quickly. If we can help you during a time of uncertainty with a water or fire damage please call us at 252-433-0005 or 919-339-4848. We are here to help! Why use SERPVRO Franklin, Vance and Granville Counties? What makes SERPVRO Franklin, Vance & Granville Different? 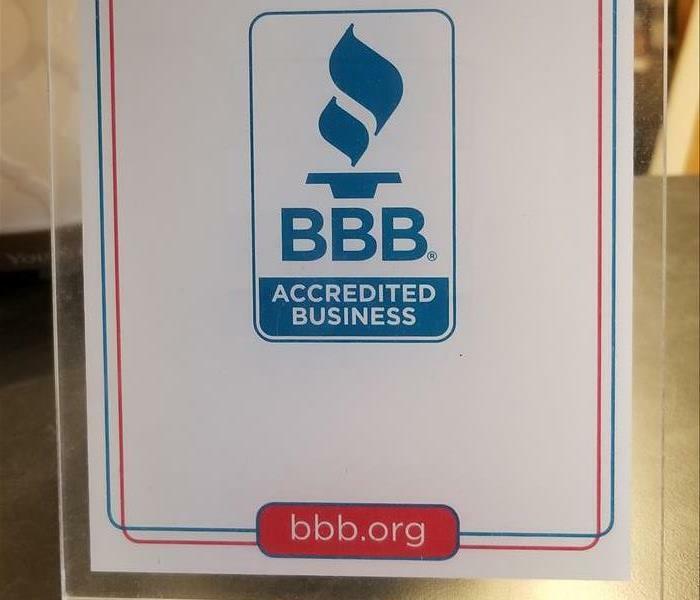 SERVPRO of Franklin, Vance & Granville Counties is a member of the BBB of Eastern North Carolina for the 17 years with an A+ rating. This means that we have been a trusted company with in the community. We value our community involvement whether sponsoring kids basketball teams, volunteering as coaches, serving on BBB Educational Foundation Board, or many chamber of commerce committees. We value people in our community where we work, play and live. SERVPRO of Franklin, Vance & Granville Counties strives not only to be another business that provides fire and water damage restoration in the community, we strive to be community leaders. We encourage all of our employees to volunteer in the community to make a difference because it is our responsibility to serve this community to make it a better place to work, play and live. Let us partner with you during your time of need from a water/ fire damage situation, mold remediation, bio-hazard clean up or carpet cleaning. SERVPRO of Franklin, Vance & Granville Counties has serviced Youngsville, parts of Wake Forest, Creedmoor, Oxford and Henderson since 2000. Each customer is given a customer satisfaction form and the end of the job to rate the technicians that serviced their claim. The office staff at SERVPRO Franklin, Vance & Granville Counties takes the scores on the satisfaction forms seriously. We use them to grow and learn from the comments that are written. This is then shared with the staff during team meetings for personal growth and development. We encourage growth both personal and business within each of our technicians and staff. We are a team. Our philosophy is that our team is a team that grows together by valuing each member of our team with the firm belief of being better able to then service our customers. SERVPRO of Franklin, Vance & Granville is a team of professionals that prides themselves on a job well done. Why is SERPVRO Franklin,Vance & Granville Counties Different ? Another reason why SERVPRO of Franklin, Vance & Granville Counties is different is due to our employees. The employees are the front lines of the business. We have one employee that has been with the company for 17 years. Crockett aka "Crock" began employment after moving to North Carolina from Maryland. He had retired from Michelin Tires before beginning to work with SERVPRO of Franklin, Vance & Granville Counties. All of the customers love "Crock" because he is very detailed in the work and customers love his attitude. We have repeat carpet cleaning customers that request only him for their service. SERVPRO of Franklin, Vance & Granville Counties has been able to have Crockett train other team members. He has been a great asset to the company. SERVPRO of Franklin, Vance & Granville Counties has other great team members as well and we are so thankful for all of them. If you want a true team to assist you with your fire or water damage restoration, carpet, upholstery or duct cleaning then call us today at 252-433-0005. Did you know that SERPVRO of Franklin, Vance & Granville Counties provides duct cleaning services to both residential and commercial customers. Not all restoration companies specialize in the cleaning of air ducts. SERVPRO of Franklin, Vance & Granville Counties completes yearly cleanings of duct work to area industrial facilities, government buildings and hospitals. We are able to clean the duct work with a negative air system blocking interior duct into sections if needed. After cleaning the systems we are able to spray a disinfectant to rid the insides of any residual bacteria. We also clean all the register covers, air handler and cold air return cover. SERVPRO of Franklin, Vance & Granville Counties handles all your cleaning needs whether big or small we handle it all. Call 252-433-0005 or 919-339-4848 for your free air duct cleaning estimate. How to get rid of unwanted odors? Odor removal is arguably one of the trickiest elements of the restoration process. SERVPRO of Franklin, Vance & Granville Counties specializes in odor removal. Most damage is visible to the eye, and when it’s properly re-mediated, there is no argument the job is done. Odors, however, are very psychological in nature. As humans, we often associate smells with memories. That means before someone even enters their grandparents’ home, they may have the sweet smell of pipe tobacco embedded in their memory, and the moment they step into that home, they smell pipe tobacco, whether the smell is there or not. Smells can be good, bad or problematic. When problematic smells occur- call SERVPRO. We have the knowledge to locate the source of the odor and then know exactly how to remove the unwanted odor. Call SERVPRO of Franklin, Vance & Granville Counties to remove those unwanted odors in your home or business. What to do to prevent pipes to burst? SERVPRO of Franklin, Vance & Granville Counties care about your safety and hope these tips are helpful. 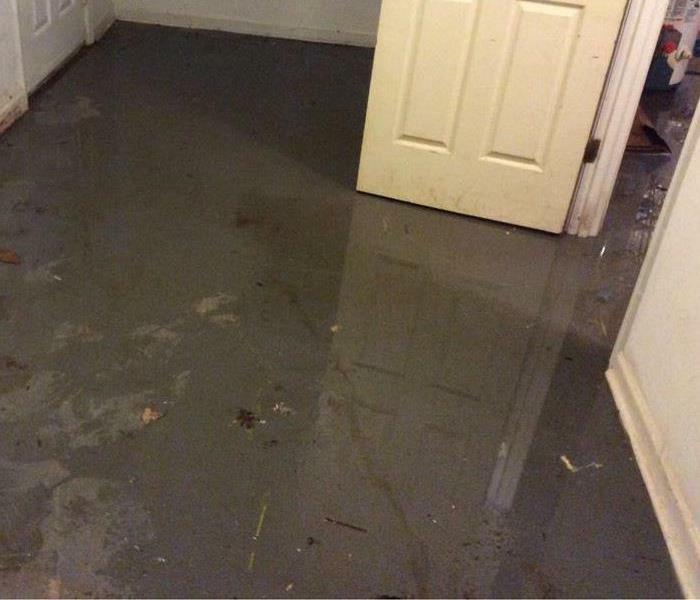 Call us at 252-433-0005 or 919-339-4848 any time for assistance with your water damage needs. I have a musty smell in my house what is it? 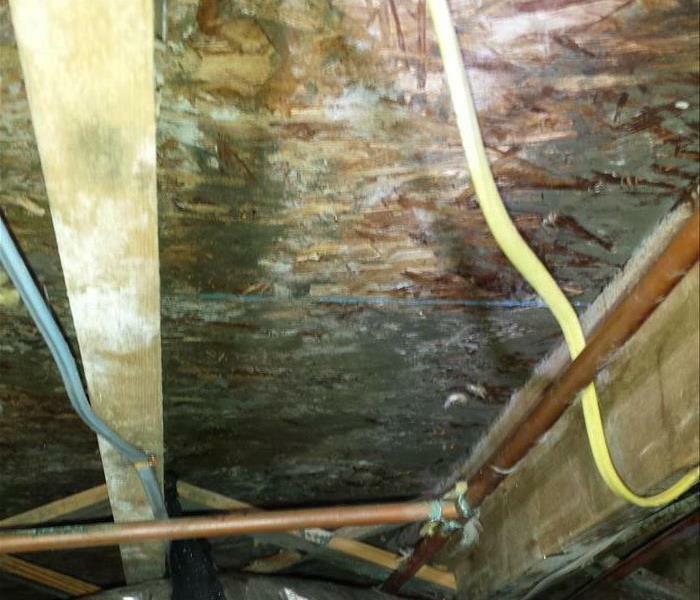 Storm damage can lead to odors and mold. This is a question we answer a lot. Mold is everywhere. The concern is when there is high levels of mold with your home. There are some precautionary steps you can follow. 1. Do you have a vapor barrier installed in your crawlspace? Are your basement wall leaking? Install a 6 mil plastic in at least 90% of your crawlspace and keep the foundation vents open for air flow. If water is intruding from your basement walls, consider a French drain, or waterproofing the exterior walls. 3. Bathroom exhaust fan should be ran while taking a shower and then at least 20 minutes after to help decrease the humidity. These are just a few things to consider to aid the prevention of mold. Call us and we will glad to answer any of your questions! Call SERVPRO Franklin, Vance & Granville Counties at 252-433-0005. 3/8/2019 - Why use SERPVRO Franklin, Vance and Granville Counties? 3/8/2019 - What makes SERPVRO Franklin, Vance & Granville Different? 3/8/2019 - Why is SERPVRO Franklin,Vance & Granville Counties Different ? 2/28/2019 - How to get rid of unwanted odors? 2/23/2019 - What to do to prevent pipes to burst? 2/23/2019 - I have a musty smell in my house what is it?